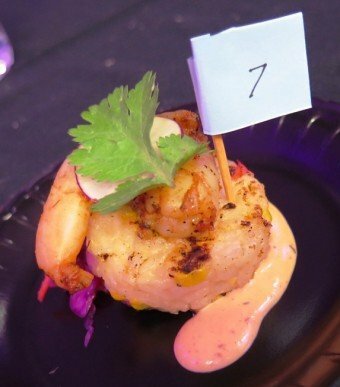 Media: The 30th Annual Toast to the Triangle in Raleigh, Fun for Foodies! 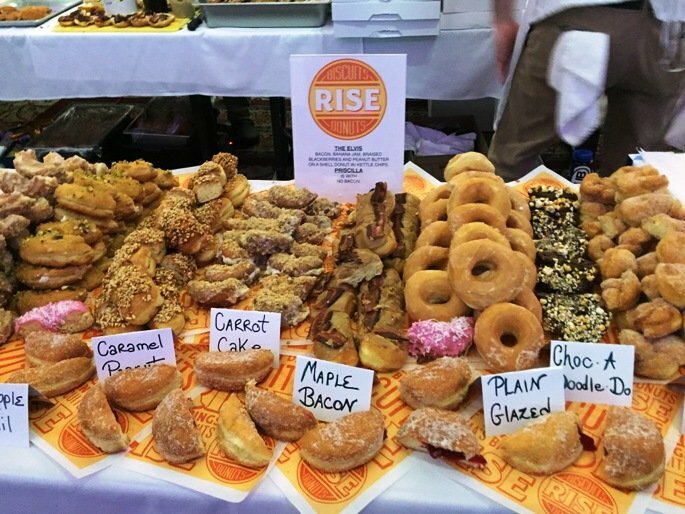 The Triangle has been booming when it comes to food, drink and foodie events! 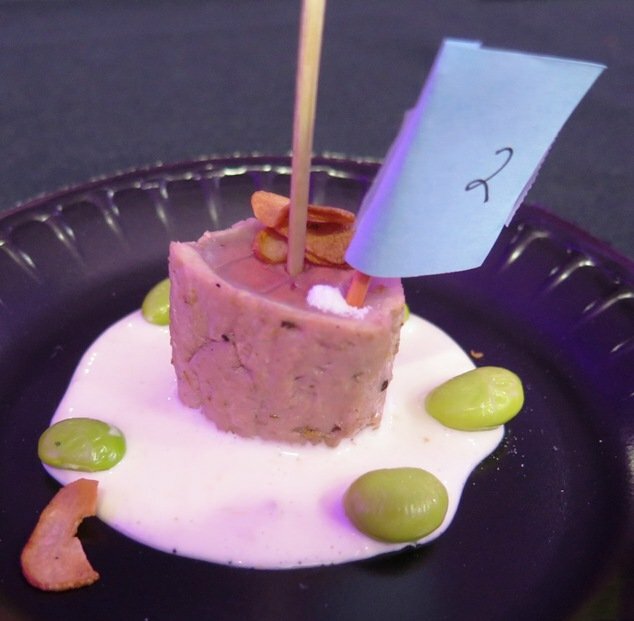 One local favorite is the Toast to the Triangle, a fundraiser for the Tammy Lynn Center which supports developmentally disabled individuals. As luck would have it, I received an invite to be a judge for the Toast to the Triangle’s culinary competition. So as you can guess, my proverbial tail was wagging as I headed off to the McKimmon Center at NC State for the start of the 30th annual Toast to the Triangle! 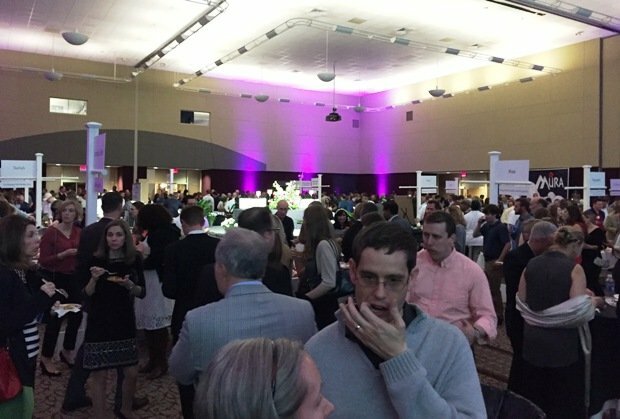 Inside the McKimmon Center, the crowd was already gathering and local restaurants were setting up in the event space. 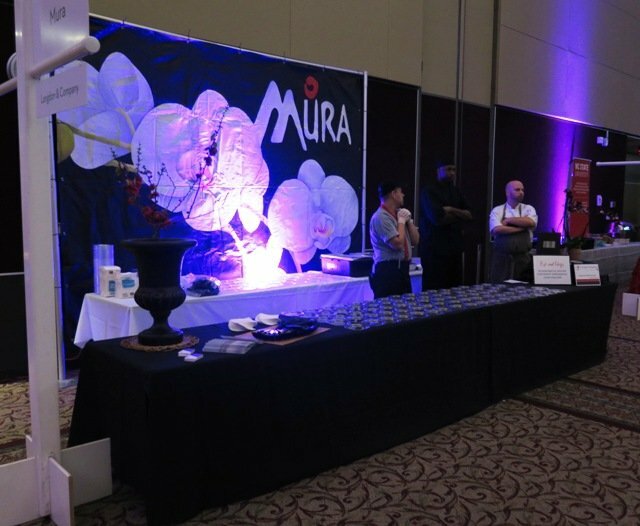 I spied favorites such as La Farm Bakery, Mura, Faire, Azitra, the Point, Rise and many more delicious options on the floor. The silent auction items and beverage options sat in a second room and was rife with NC State and Duke basketball paraphernalia. 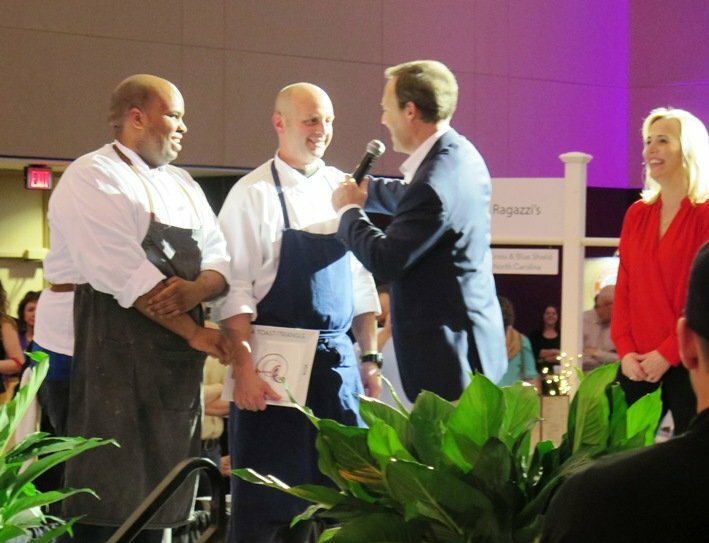 Heading to a back room, I meet up with McGavock Edwards who was running the culinary competition for Toast to the Triangle. 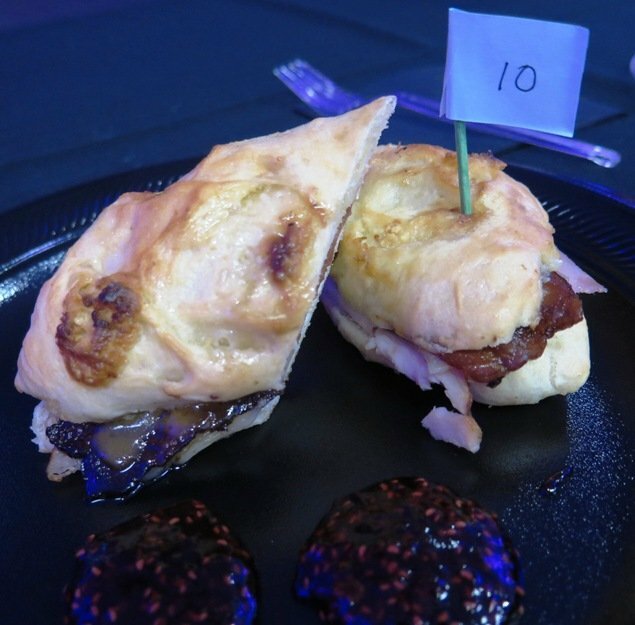 We’ve got twelve judges for the evening: three each for the appetizer, entree and dessert categories along with three for visual presentation. 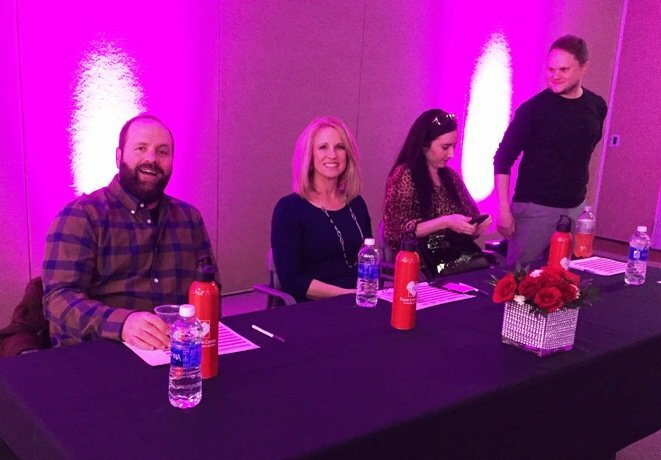 It’s an eclectic group of foodies, bloggers and media peeps along with one citizen judge (Josh) and one celebrity judge (Debra Morgan from WRAL)! And we’re all pretty excited to dig into the food, stat! 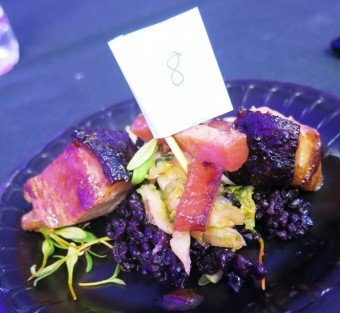 I take a look at our list of entries, we’ll be blind-tasting the samples and we’ve got 10 for the entrees, phew. We’re asked to judge on presentation, aroma, flavors, marriage of flavors and then overall impression of each dish. From one to five for each element with a max score of 25 for each plate. It’s obviously going to be a marathon, not a race trying to cover 10 different plates. We start off with a curried seafood dish which is a tasty mix. Next up is a seared tuna medallion with cream sauce. And the food just keeps on coming, hah! It’s tough judging because when you start off, you have to set a baseline and you don’t know what’s coming up. My scores are all in the lower 14 – 22 range and I’m feeling a bit like the E. German judge. Chatting with the other judges, we’re all waiting for the wow dish. And it finally shows up for the last tasting: a white chocolate baguette with brie and bacon along with a raspberry sauce for dipping. A play on the traditional monte cristo sandwich, bam! Our work here is done and I am already pretty darn full. On the event floor the Toast to the Triangle is crowded and bustling. I meet up with my guest and we start grazing at the tables. 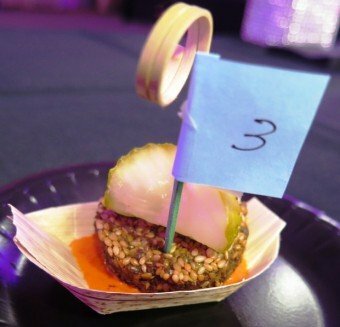 I get to try out a couple of the apps and desserts that I missed during the judging but don’t really have much room at this point and time. 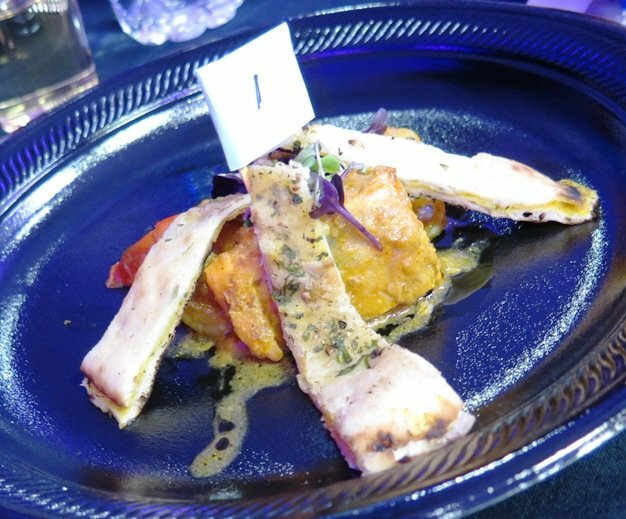 Lots of local folks from the food scene are here tonight including G. Patel from Eschelon and Chef Steve Zanini from Faire, everyone’s happy and enjoying the evening! Before the awards are announced, we get to watch a video on the Tammy Lynn Center and it’s inspiring. A mother who refused to give up on her developmentally disabled son and wanted to change the world for those facing those exact same challenges. 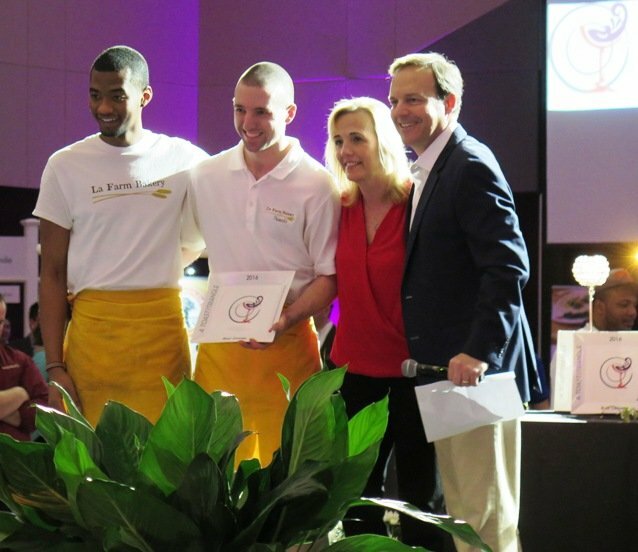 Steve Daniels from ABC 11 is the emcee and I’m happy to see him call up our entree winners: La Farm Bakery for their monte cristo and Neomonde for their cool presentation of a falafel disc and pickle plate with spicy harissa sauce, yum! After the awards are done, winners for the Toast to the Triangle raffle are announced. 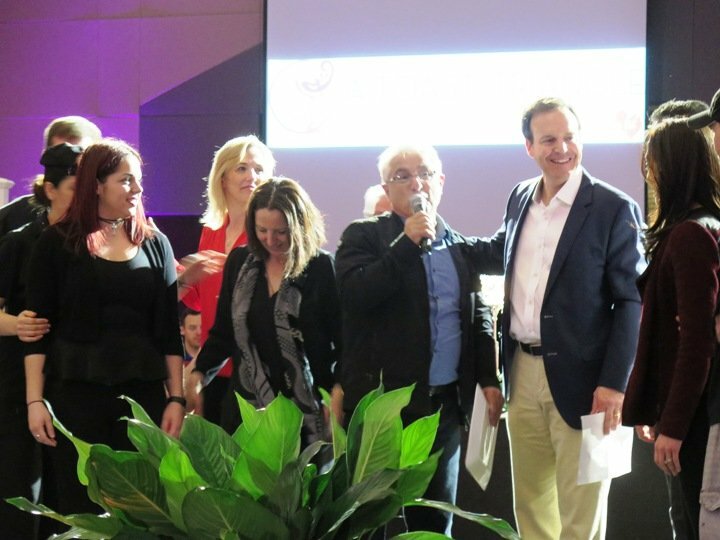 I had bought some tickets to contribute to Tammy Lynn Center but really didn’t expect to win but surprise! My name gets called out for the first of four prizes, tickets to the NC Symphony and dinner at Bella Monica: winner winner, Italian dinner! Before I even step away from the stage, my name gets called again for the second raffle prize but I’m passing on this one. Please choose another name, Steve Daniels! We finish off grazing at some of the tables and get some treats to go rather than see it go to waste after the event. And then we’re off into the evening, happy and full! 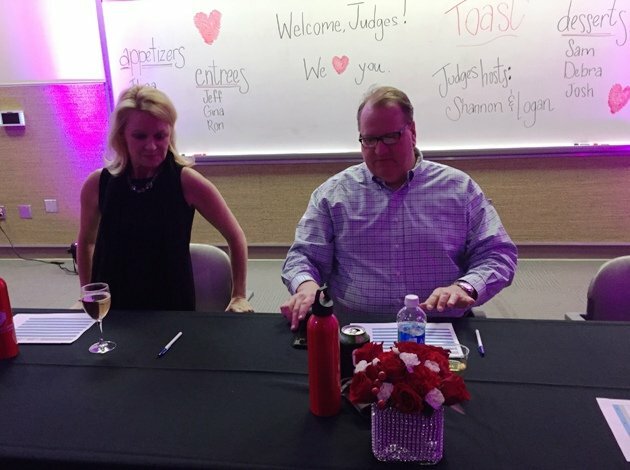 So thank you so much Toast to the Triangle, Tammy Lynn Center and McGavock for having me as a judge for your fun, foodie event. It was a great success and here’s to 2017 and raising more money for a great charity.